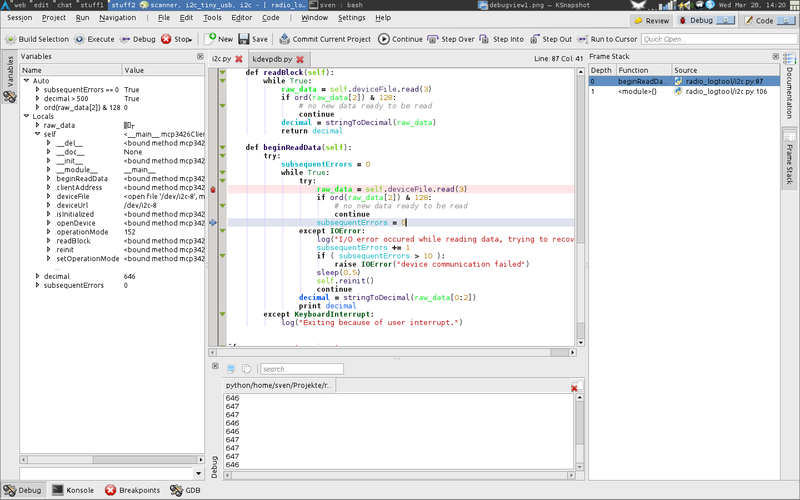 There's now support for (graphically) debugging python applications from within KDevelop, like it works with C++. 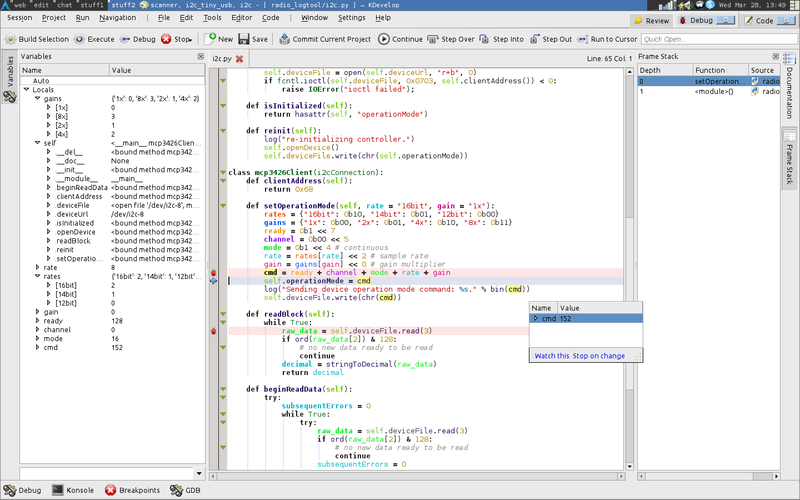 The implementation relies on communicating with the default python debugger, pdb, which is shipped with python. 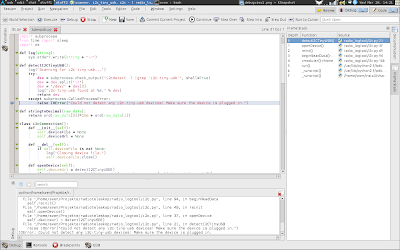 It aims to nicely map all of pdb's features to buttons and tooltips / toolviews. 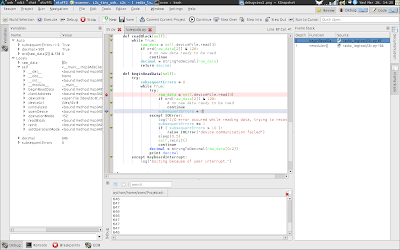 As always, this feature is available in the master branch of kdev-python (http://projects.kde.org/kdev-python). 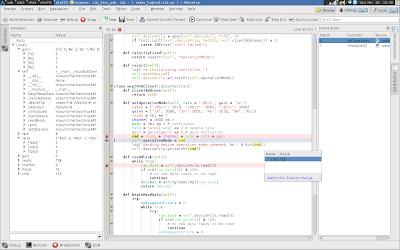 To use the debugger, configure a script launch for your application (Run - Configure launches, Add new, then select "Script Application" in the tree view on the left under "type"), then click the "Debug" button in the toolbar. The display of the children of a variable is not optimal, it would greatly profit from heuristics about which items are important and which ones aren't (you usually don't want to inspect the __get__ method, do you). There's probably a few bugs left -- please report anything you find to bugs.kde.org. 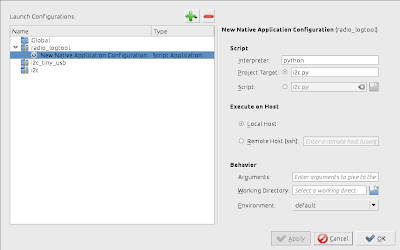 Go to Run -> Configure launches. Add a new launch using the button. 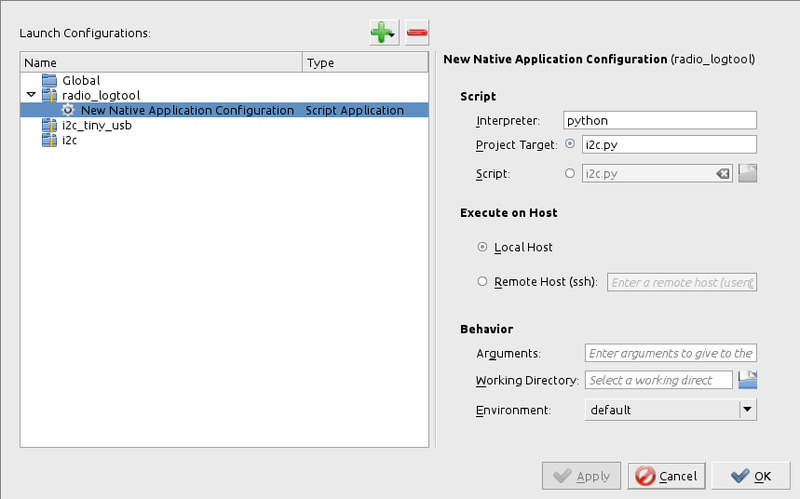 In the treeview on the left, select "Script Application" (instead of "Native Application" -- you might need to scroll a bit), then as an interpreter, enter "python2", and for script enter the full path to your script. Then, click Debug.